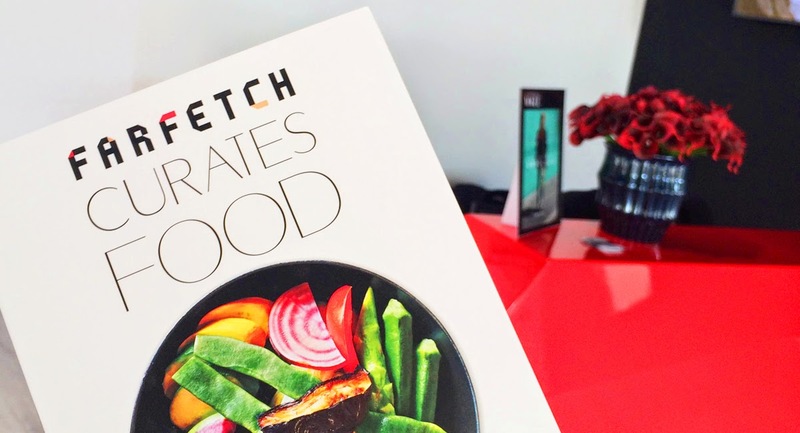 KATEFP: EDITOR'S PICKS: "FARFETCH CURATES: FOOD"
EDITOR'S PICKS: "FARFETCH CURATES: FOOD"
"Farfetch Curates: Food" is my must-have coffee table book of the moment, perfect for a foodie (and fashionista) like me. It has everything that I love inside: food, Fashion and traveling in a beautifully illustrated book. In this first volume you can find all the guide trends in food right now, from breakfast, lunch and dinner featuring some of the coolest people in the Fashion scene (Leandra Medine from the one and only Man Repeller, Elettra Rosellini Wiedemann, you name it). I simply can't wait for the next "Farfetch Curates" series, because this one is just the beginning. © 2012 - 2019 KATEFP ™ All rights reserved. ALL MATERIAL © 2012 KATEFP ™ REF: 28129. ALL RIGHTS RESERVED. CONTACT US: info@katefp.com. Powered by Blogger.